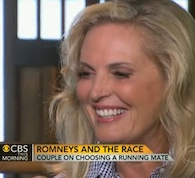 From Mediaite: Is Mitt Romney going to choose a female for his vice presidential candidate? It’s a possibility, according to his wife Ann Romney. Reports Mediate of the Romneys’ interview with Jan Crawford on CBS News this morning, “[W]hile much of the interview focussed on misconceptions she feels people have about her husband… as well as the White House… Crawford did get the aspiring First Lady to discuss Mitt’s closely kept VP secret… Romney (the female one) told Crawford that she has been going over her husband’s possible choices and is looking forward to someone ‘that Mitt will enjoy, with the same personality type, that will enjoy spending time with them, and also competent, capable, and willing to serve this country.’ Crawford then asked if the GOP could be going with another female VP and Ann stated that Mitt had been ‘looking at’ that possibility, adding that she herself ‘love[s] that option. '” Watch the video and read more here. From Gossip Cop: Former “Biggest Loser” trainer Jillian Michaels has unfortunately lost a lot of her possessions. In a burglary late Monday night or early Tuesday morning, her home was vandalized. Reports Gossip Cop, Michaels “woke up on Tuesday and realized her car keys were missing, only to find moments later that her Bentley had vanished, her rep confirms to Gossip Cop. Later that day, cops spotted someone driving the stolen vehicle, and when they pursued the suspect, he sped off and crashed into a light pole. The man was arrested for driving a stolen car, and is also the number one suspect in the burglary of Michaels’ home. On Thursday, Michaels addressed the incident on Twitter, writing, ‘hi guys – thanks so much for all your concern regarding the burglary. We are all fine & that’s what counts. Stuff is just stuff after all. '” Read more about the incident here. From Geekosystem: Yesterday, there was a big announcement about CERN’s discovering of a “Higgs-like particle,” which will surely be a scientific discovery for the ages. But how does it involve Stephen Hawking? Reports Geekosystem, “For most physicists, [the discovery] means exploring a new channel of particle physics. However, for famed scientists Stephen Hawking, it meant something far more personal: Losing a $100 bet with University of Michigan physicist Godon Kane. 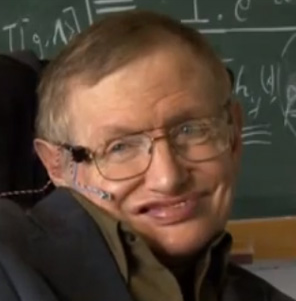 Speaking with the BBC, Hawking said that the CERN discovery will certainly earn Peter Higgs, for whom the Higgs boson is named, the Nobel Prize. It is disappointing, according to Hawking, since many of the experiments which yielded the results had unexpected outcomes. 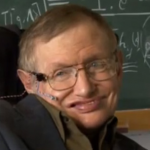 Watch the video of Hawking and read more here. From Styleite: Things are changing for fashion powerhouse Yves Saint Laurent. Recently, Styleite reported on the brand’s name change (to Saint Laurent Paris), and now they are reporting about newly appointed creative director Hedi Slimane. 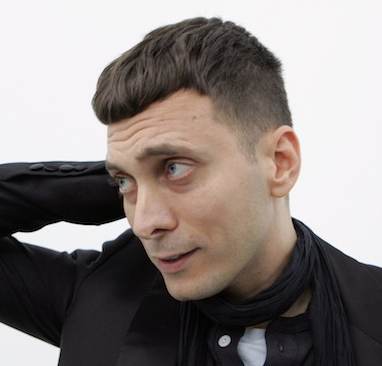 Today, Styleite writes that “[I]t looks like Slimane’s first work for the label will be a hit as well. For the past week, Slimane’s debut collections — women’s resort, men’s spring 2013, and accessories — have been on display for select buyers in a showroom at the Grand Palais in Paris. According to WWD, the women’s line includes hot pants, gold lamé, silk blouses, and animal prints… The consensus seemed to be that Slimane’s designs displayed a strong vision that is true to YSL’s roots, albeit with a very modern twist. As of now there are no lookbooks available and no photography is allowed inside the showrooms, so we may have to wait until September to see the goods ourselves.” Read the full atrticle here. 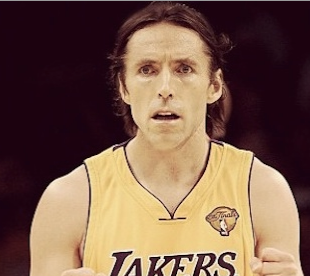 From SportsGrid: Steve Nash is going to play for the Los Angeles Lakers. Sportsgrid has deemed this a steal for L.A., and a tragedy for Canada. 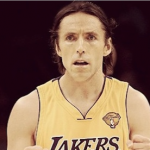 Writes editor Dan Fogarty, “On the court, the move is an absolute win for the Lakers. Sure, Nash is about as effective on defense as, well, a laterally-challenged 38-year-old with back problems could be. But who cares? With him at the helm, the Lakers will be able to run the type of hyper-speed offense that allows them to stick with the Oklahoma City Thunders and Miami Heats of the world. And, as Bill Plaschke points out, it takes some of the crunch time pressure off of Kobe Bryant(something that was beginning to take its toll on Kobe). Bryant now has a trusted vet alongside him to take some of that 4th quarter burden, and he also gains a teammate who will understand whatever pop culture references old-as-balls men make to each other in the locker room. Everyone wins. Except Canada.” Find out why here. 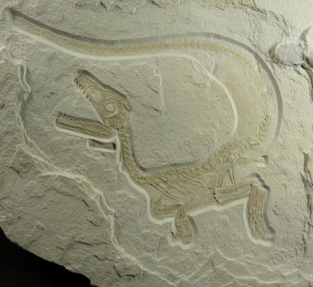 From The Mary Sue: Would you think it possible that many kinds of dinosaurs had feathers? A new, intricate fossil is changing the way scientists think about the extinct species. Reports The Mary Sue, ” The discovery of an extremely well-preserved theropod fossil has cast doubt upon the long held assumption that most dinosaurs had scales, rather than feathers. Upon its death, this Sciurumimus albersdoerferi — Latin for ‘squirrel-mimic’ — left an imprint in such fine grained sediments that it basically formed a photograph of the creature, revealing the evidence that plumes had covered its body. The dinosaur lived 150 million years ago throughout what is now known as Germany. Feathered dinosaurs aren’t exactly a new discovery — other feathered theropods, a taxonomic term meaning two-legged dinosaurs and their bird descendants, have been found previously. However, according to Wired, the implications of this discovery could shed light upon the entirety of theropods… if this dinosaur had feathers, it’s very likely that its descendants did, too.” Read the whole article and see a picture of the fossil here. From The Jane Dough: Is Duckworth v. Walsh a turning point for women in the military? 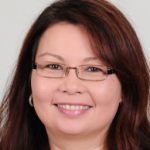 Tammy Duckworth is a 20-year military veteran, a double-amputee, a former assistant secretary within the Department of Veterans Affairs, and now a Illinois congressional contender… one of the most prominent female veterans in the country. However, her opponent is trying to use her service against her. Reports The Jane Dough, “[O]ne must wonder then why her opponent, congress member Joe Walsh, decided the week of July 4 was a good time to publicly complain (more than once!) 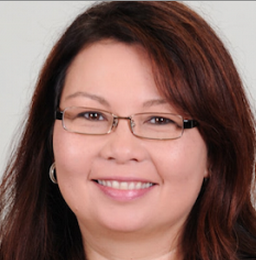 about how often Duckworth talks about her military service… Duckworth lost both her legs while serving in 2004, when ‘the helicopter she was flying was struck by a rocket-propelled grenade,’ according to the Air Force Times. And Walsh, unlike, oh perhaps everyone else living, thinks that Duckworth should really pipe down about how she’s a military hero and a regulation BAMF.” Read more about Walsh’s argument and the debate here. 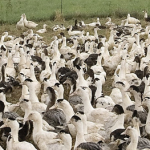 From The Braiser: The foie gras ban saga continues. Most recently, a lawsuit has developed to try to lift the ban. 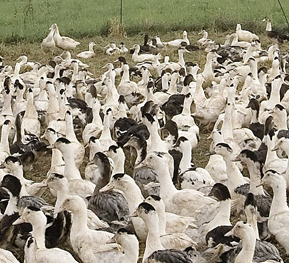 Reports The Braiser, “[A] coalition of duck farmers and Los Angeles restaurant owners have filed a lawsuit against the recently implemented law, claiming that it is ‘unconstitutional, vague and interferes with federal commerce laws.’ The team, filing the suit in the US District Court in Los Angeles, also plans on filing a preliminary injunction, “freezing” the law’s effects until the suit is settled, according to the San Francisco Chronicle… Taking a decidedly different (read: lawyerly) tack in the anti-ban argument, the lawsuit claims that the new law doesn’t clearly define what ‘force feeding’ is, nor is it constitutional, since it interferes with the federal government’s power to regulate commerce between the US and foreign countries. Read the story here.